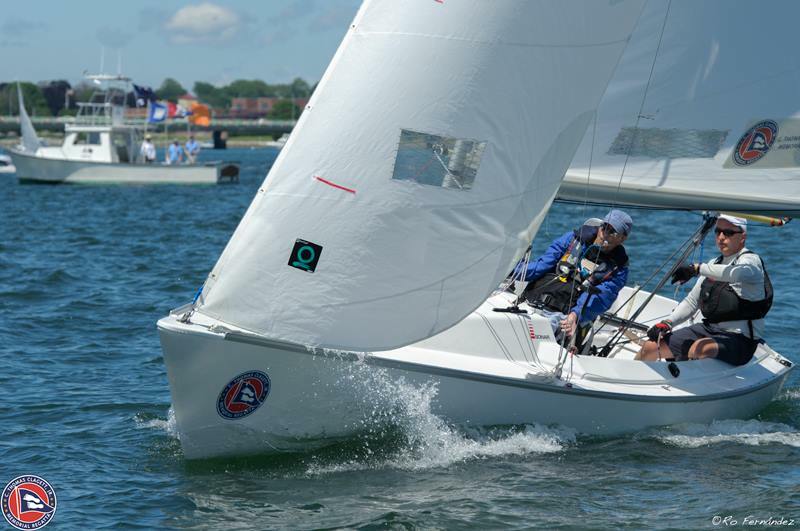 NEWPORT, R.I. — The C. Thomas Clagett, Jr. Memorial Clinic and Regatta wrapped up on Sunday in Newport, with the Y-Knot team sliding to victory by one point in the Sonar fleet in their first ever Clagett appearance. Dave Whalen, Dan Kennedy and Spencer Raggio sailed in the new Sonar that was provided to Y-Knot by the Clagett Boat Grant Program last year. Fifteen years ago just five boats sailed in the inaugural Clagett. Over the last three days of competition, 21 boats participated in the clinic and competed in ten races over three days. Sailors from Rhode Island, Florida, Pennsylvania, Illinois, New Jersey, Connecticut, Indiana, New York, Massachusetts and Canada enjoyed challenging conditions on Narragansett Bay. In the Sonar class the three teams left everything on the race course with very close racing and finishes for the entire 10 race series. After taking home the gold in the Sonar class, the Lake George, NY team from Y-Knot Sailing couldn’t have been happier with their results. Canadian Paul Tingley won the top prize in the 2.4mR fleets. Tingley, no stranger to the Clagett or the 2.4mR, won a bronze medal in Rio at the 2016 Paralympic Games in the Sonar and a gold medal in 2008 the 2.4mR. He has represented Canada at five Paralympic Games. “I love coming to The Clagett and plan on being here racing for many more years to come. It was the tightest racing I’ve seen here and I had to make every race count,” said Tingley. 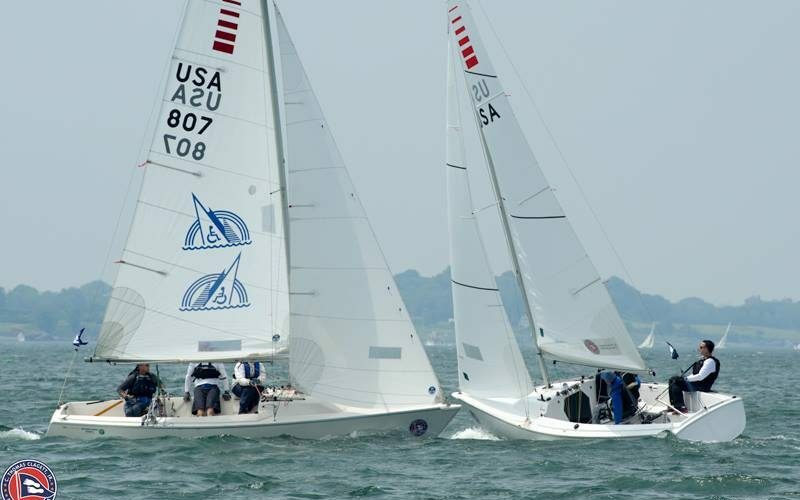 Dave Whalen and Spencer Raggio will be returning to compete in the Clagett/Oakcliff match racing event, representing Y-Knot there for the second year. See complete results on the Clagett Regatta website. Photos by Rodrigo Ro Fernandez.